The challenge: Make a giant jaffa cake for the people at work. The dilemma: I did not own a big enough circular baking tin to prepare the traditional pimped jaffa cake. The solution: After conferring with the Pimp Legion of Doom (my Mam and sister Karen on the way to Slimming World), we decided to pimp Marks and Spencer’s’ jaffa cakes, which are rectangular and more amenable to our baking tray collection. This is not just a Pimp... This is an M&S Pimp!! 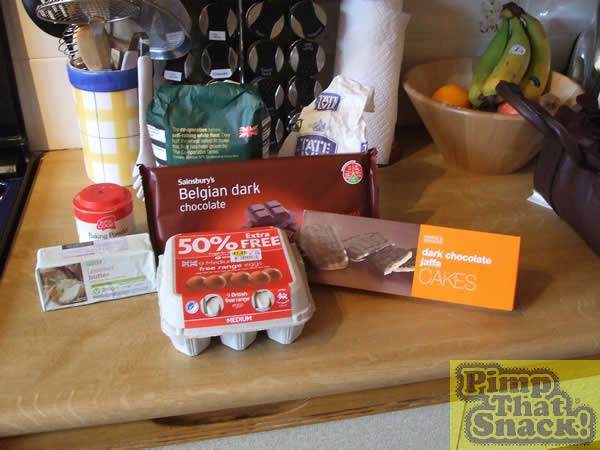 For the cake, most of the ingredients were to hand. I had to buy butter (M&S, of course) and dark chocolate. DISASTER!! 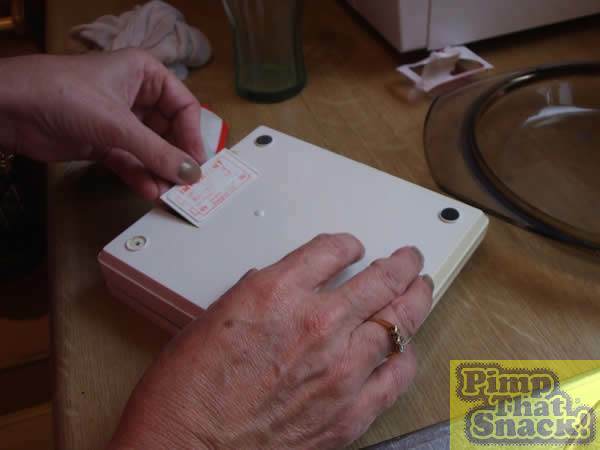 The electronic scales died. I thought this was the end of the Pimp, and I was all ready to eat the delicious (and seemingly surplus) jelly, when the Pimp Legion of Doom saved the day, and went to the shop for a battery. Battery installed, the Pimp was back on! Self-raising flour (8 oz), caster sugar (8 oz), butter (8 oz) and 4 eggs from superfly free-range hens were mixed together using a wooden spoon and a way strong Pimp hand. 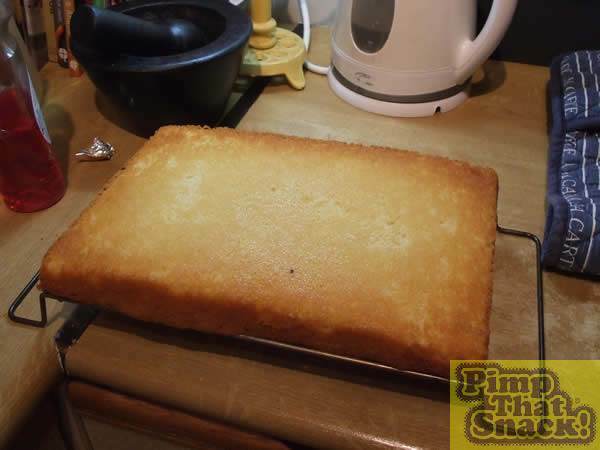 The mixture was poured into a baking tray lined with foil (lack of greaseproof paper was not going to hold back the Pimp!) and spread out evenly. 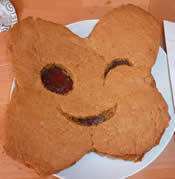 The cake was put into a pre-heated oven (gas mark 4) for about 30 minutes. After cooling for 5 minutes or so, the cake was upended onto a rack to cool. 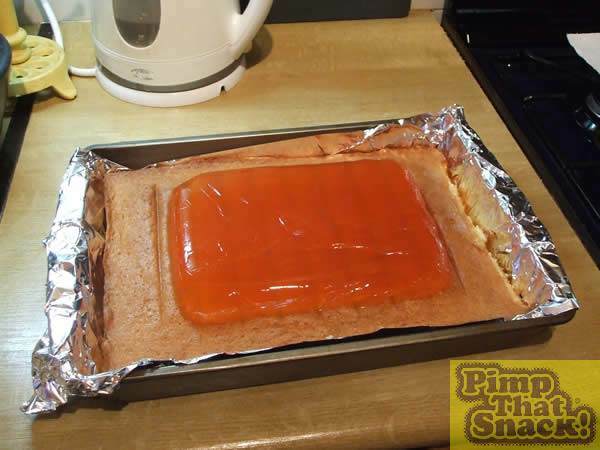 The baking tray was re-lined with foil and the cake placed back in. The jaffa was removed from the fridge. Several terrifying moments later, and with some extra help (thanks Mam! 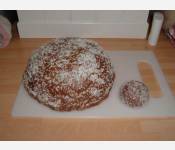 ), the jaffa was on top of the cake. 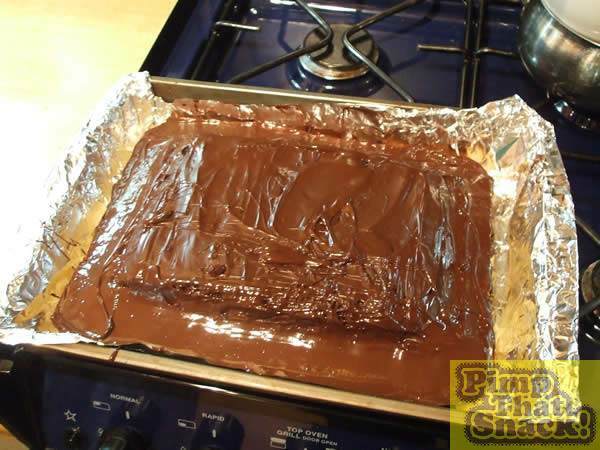 Half of the chocolate was melted in a bowl over a pan of boiling water. The chocolate was carefully layered onto the cake, being careful not to melt the jaffa! The cake was put in the fridge for about 20 minutes whilst I put my hair in a perm and slipped into some pink alligator skin shoes. 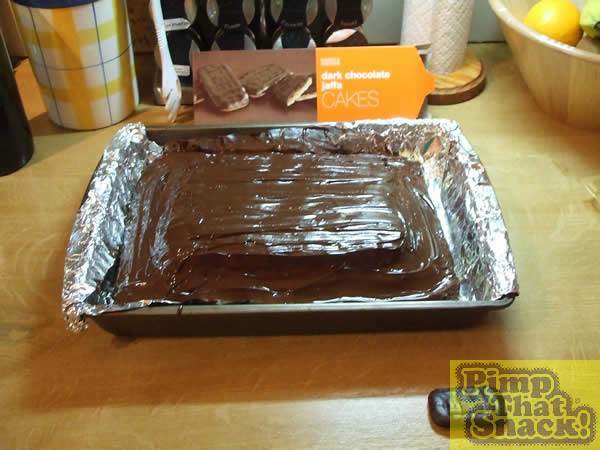 The remaining chocolate was melted and spread over the cake as before. The cake went back in the fridge overnight, ready for the adulation and respect it thoroughly deserved.